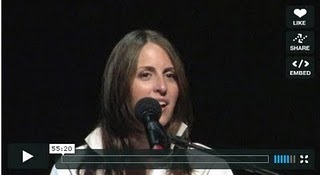 Last night Heather and I watched the video Death is not Dying from Rachel Barkey on Vimeo. It was quite the buzz around the blogosphere a while back, but we just did not take the hour to watch until last night. Rachel is home with the Lord now, but she has left us and her children with a great blessing. God used her in a powerful way to share the Gospel with many and to address hard questions like the problem of evil and God’s holiness. Rachel handled these tough issues better than many pastors do. I highly recommend you too take the hour and hear her out. Previous post: The Difference Between Roman Catholics and Christians.